It’s a combination of members of a recently formed quartet and companions from years past. 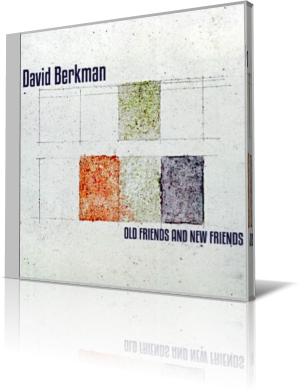 Pianist David Berkman brings them together for Old Friends and New Friends (Palmetto Records, 2015). With Berkman are Dayna Stephens, soprano and tenor saxophones; Billy Drewes, alto and soprano saxophones; Adam Kolker, soprano, alto and tenor saxophones, clarinet and bass clarinet; Linda Oh, bass; and Brian Blade, drums. Stephens and Oh are the relative newcomers, while the others have performed or recorded with Berkman in the past. With Kolker on soprano sax and Stephens on tenor, “Tribute” is a tranquil, ocean breeze. The horns harmonize during the melody, accented by Berkman’s piano and Blade’s cymbal splashes. Tom and snare rolls, mixed with cymbal splashes accompany the soprano solo. The accompaniment softens for Berkman’s elegant passage. All three sax players appear on “Past Progressive.” In order of solos, they are Drewes, alto; Kolker, soprano; and Stephens, tenor. The piece begins softly with the trio of Berkman, Oh and Blade. Oh gets to stretch out early. When Berkman is out front, the song has the feel of a lullaby that could double as a ballad. The saxes add to that romantic element. Then, with little fanfare, things heat up, and it becomes more of a traveling song, perhaps an afternoon ride in the country. Then, when the saxes overlap, it’s more of a frolic in the woods. Berkman has been part of the jazz community since moving to New York in 1985. He was awarded a 2000 Doris Duke/Chamber Music America New Works Creation and Presentation grant. His recordings have appeared on numerous year-end critics’ lists, including the New York Times, Village Voice, Downbeat, Jazziz and JazzTimes. Berkman is a teacher and clinician who has performed and taught at numerous jazz campus, universities and conservatories around the United States and in South America, Asia and Europe. He composed all nine songs on Old Friends and New Friends.